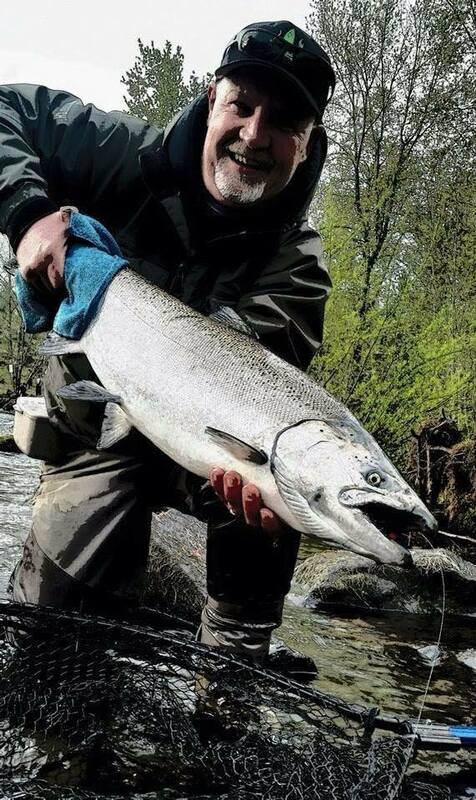 I have fished the salt all my life for and I have never had salmon hit so hard with such commitment when they go after this lure ! And the most exciting thing no flashers no herring just troll on a down rigger it’s that easy!! 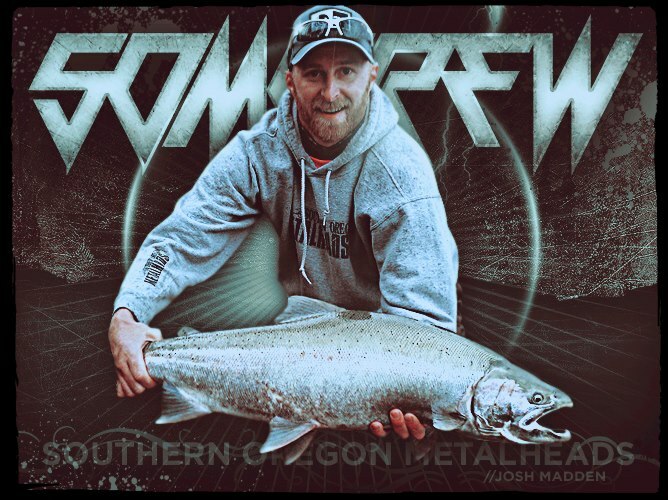 You fight all fish … There’s a concept !!!! My tackle box is loaded with them yours should be too !!!!! Fish On! I was introduced to the Wicked Lure this past spring of 2013. On the boat we hooked up with Pink Salmon after Pink Salmon and I was highly intrigued in the lure. Arriving back in Southern Oregon first thing to take place was contacting James Beasley. He got me a small Kit out to give them a shot! Fish-On is all I can say. Always have a Wicked Lure on a rod ready to drift or Pitch like a spinner. The Wicked Lure has put fish on the Banks when no one or nothing could!!! I highly recommend purchasing a 6 pack and slaying some fish!!S.O.M. 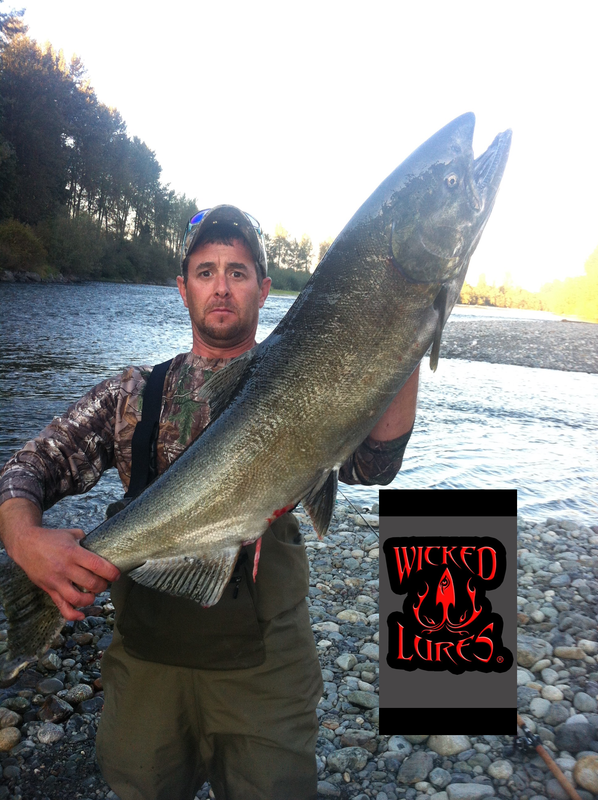 CREW (Southern Oregon Metalheads), proudly Pro-Staffs for Wicked Lures LLC. Fish can’t resist the Wicked!!!! I have been using Wicked Lures since 2011. 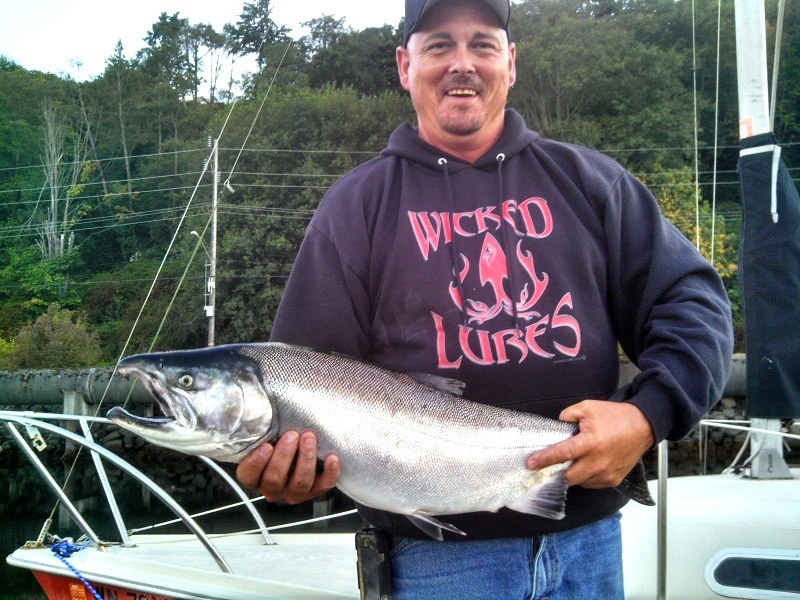 Wicked Lure brand quickly became my go to lure for Steelhead, salmon for both fresh and salt water fishing. I have caught many species with these lures. Trout lures have been the very best lure I have used for trout and bass fishing. Bottom line – Wicked Lures are versatile, cost effective. Pick up some today and try them out, I am confident you’ll be hooked. March 29, 2015 was the first time I tried Wicked Lures. At the time I was fishing for Steelhead on the Vedder River in British Columbia, Canada. The whole season I was having a difficult time catching anything and was feeling very defeated. I left work and decided to attempt an evening fish, having hopes of catching the elusive Steelhead. I put on the pink and blue Wicked Lure and low and behold, on my second cast, having been down at the river for no more than 15 minutes, I felt the exploding hit of a Steelhead. I have caught a lot of fish, and never felt a hit like that. The fight was on. (Video is posted to the website). With the unique design of Wicked Lures and the action of the blade, I was very successful on landing this fish. After that, my confidence was high and I continued to catch many more Steelhead on Wicked Lures. I believe that every Fisherman, no matter what body of water they are attempting, should have these unique lures in their arsenal of tackle. I have no doubt that any Fisherman who purchases these lures will be extremely successful in landing the fish you are hunting. These are by far the best lures I have come across in my fishing career. It does not matter what species of fish you are pursuing, from Chinook Salmon to Trout, these Lures will put you into more fish guaranteed!